4D printing is an upcoming form of additive manufacturing with effects that continue beyond the print. It is similar to 3D printing in the sense that an object is also built layer by layer. However, the object can then change over time, after being built. The object will change because it is printed with materials that have the ability to change when exposed to certain factors: such as heat, magnetics, water or another source of energy. At Rutgers University-New Brunswick in New Jersey, engineers created flexible, lightweight 4D printed materials with potential applications in changing airplane or drone wings, soft robotics and tiny implantable biomedical devices. The assistant professor working on the project, How Lee explained that time is the fourth dimension that allows the objects to morph into a new shape. “We believe this unprecedented interplay of materials science, mechanics and 3D printing will create a new pathway to a wide range of exciting applications that will improve technology, health, safety and quality of life”, he added. Another advantage of the metamaterials manufactured by the researchers is that they do not have fixed properties, preventing them from adapting and adjusting. 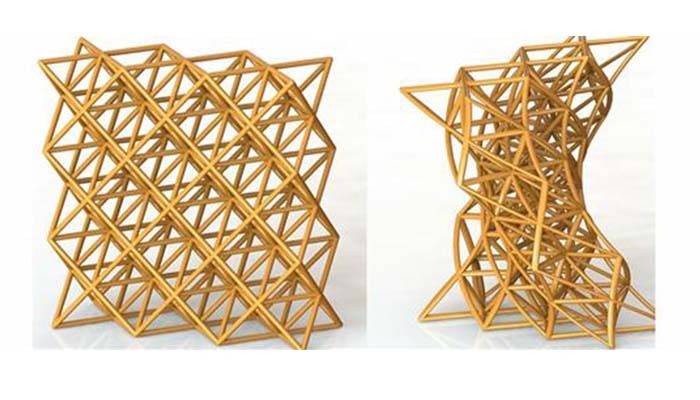 These materials are geometrically reconfigurable, functionally deployable and mechanically tunable. 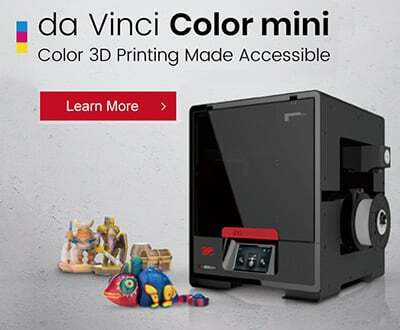 They were created using digital micro 3D printing with a shape memory polymer. According to the researchers, the stiffness can be adjusted more than 100-fold in temperatures between 23ºC (73ºF) and 90ºC (194ºF), which allowed great control of shock absorption. Also, as mentioned above, the materials can be reshaped in a variety of ways for a wide range of purposes. Once transformed into any deformed shape they can still be brought back to their original shape on demand when heated. In terms of applications, the university believes the materials could be used in airplane or drone wings that change shape to improve performance. In addition, they could be used in lightweight structures that are collapsed for space launches and reformed in space, such as solar panels. Finally, tiny devices inserted or implanted in people for diagnoses or treatment could be temporarily made soft and flexible for minimally invasive and less painful insertion into the body. The paper, titled “4D printing reconfigurable, deployable and mechanically tunable metamaterials” was published in the Materials Horizons journal. What do you think of this latest research? Let us know in a comment below or on our our Facebook and Twitter pages! Sign up for our free weekly Newsletter, all the latest news in 3D printing straight to your inbox!